Have your graphics professionally installed. If we are removing graphics in several places and detailing these areas to prep them for install price may vary, you might consider a full detail job at that time. Since our installations are done right, we warranty them for the full life of the product (5-7 years) against peeling. If there are bubbles, it’s not straight or there is damage to the graphic during install, we cover that. 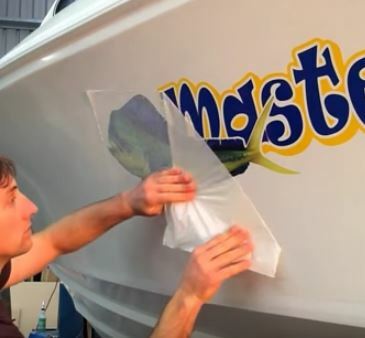 We work with experienced boat detailers who are also experienced graphics installers. Check to see if we can refer you to someone in your area. Installing your graphic is simple to do yourself, especially if you have a second set of eyes and hands. Still, some would prefer to have this done and warranted by professional installers. Our installer network has been growing since 1993. We can most likely arrange that for you! Old names are removed and the surfaces are prepped by experienced detailers who also know how to handle graphics. 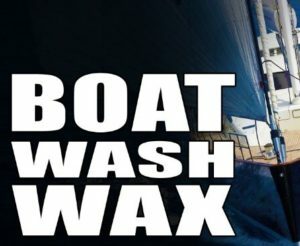 Ask about price break for detailing your boat on a regular basis.